Hi! I’m Ajay the alligator , Snap snap snap. I’m the main character from the catchiest song ever- Snap! 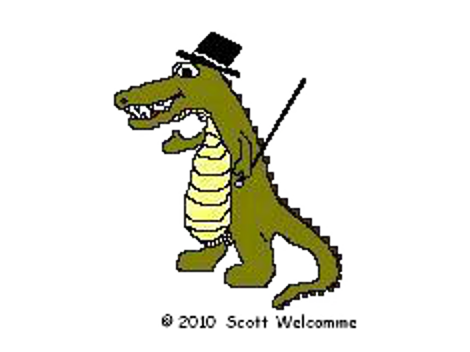 Went the alligator (altogether now, “Snap snap snap snap snap went the alligator….”) I am just a friendly gator who likes to keep my teeth clean and bones strong!